Chromebooks and Chrome OS have a full library of fun, funky themes that you can use to spice up your browsing experience. 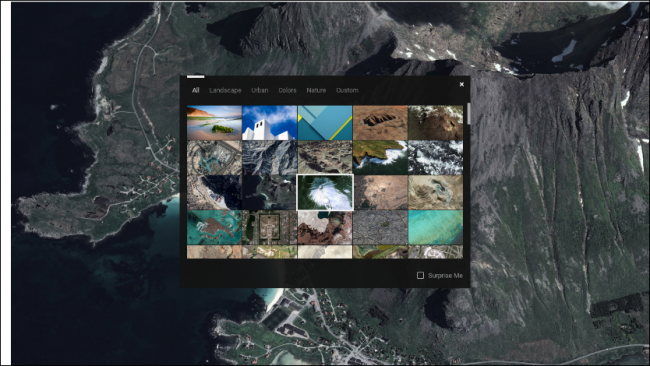 Not only that, but with features like “Surprise Me”, your background wallpaper will continuously rotate through the Google Image archive to give you a fresh image to look at each and every day. 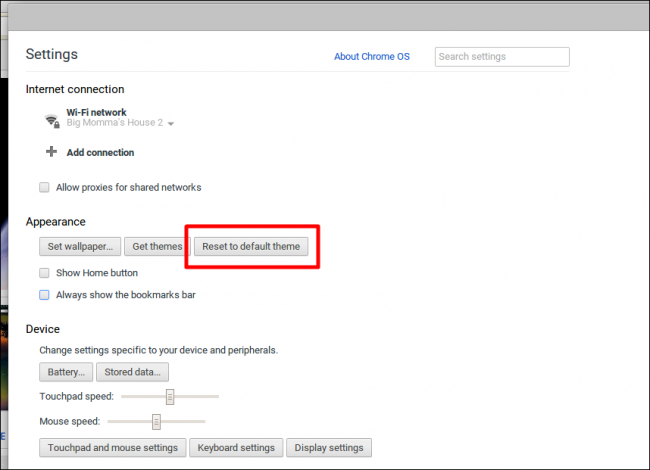 Here’s how to customize your Chromebook’s appearance settings to make these laptops feel like your very own. 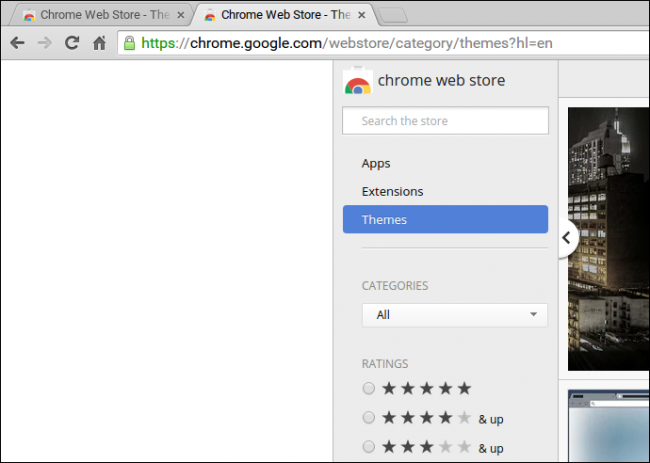 To start off, one of the fastest ways to change the entire look and feel of your Chrome browser is to give it a new theme. RELATED: Living With a Chromebook: Can You Survive With Just a Chrome Browser? To access the theme options, first you’ll need to bring up the notification center from the bottom right hand corner of your taskbar, where you’ll find the “Settings” button. Click this, and you’ll be taken to a screen containing the Chrome “Appearance” section, shown below. In Appearance settings, you’ll see a button that says “Get Themes”. 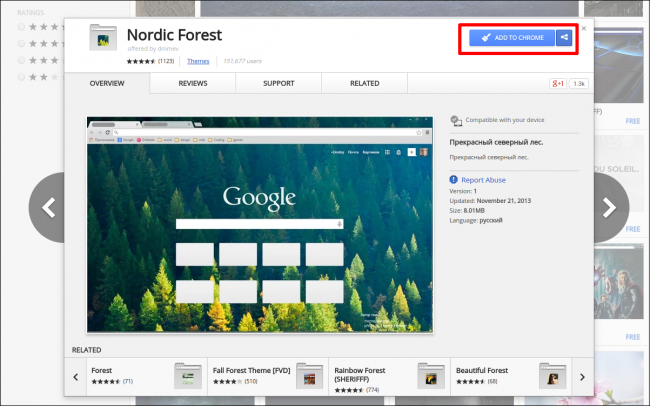 Click on this, and you’ll be taken to Google’s main theme portal in the Chrome OS App Store. Here you’ll find a huge variety of different different themes, everything from natural hills in the Nordic to sponsored themes like Assassin’s Creed. 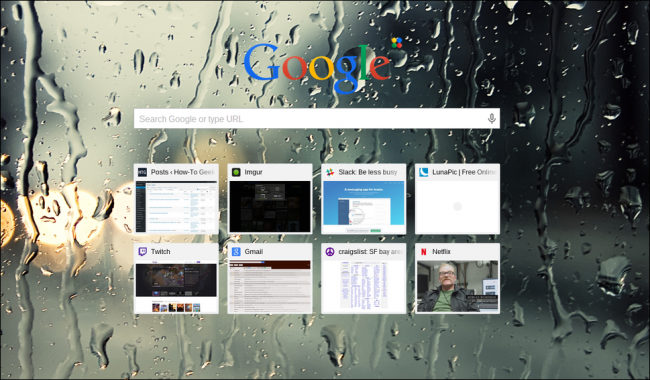 After the theme is installed, you’ll now see the background image and color scheme each time you open up a new tab, or when you’re already working in a selected tab in the toolbar above. It’s in this same menu you’ll find the option to completely reset your theme if you want to install another from scratch or just want to keep things set at the default option as a personal preference. 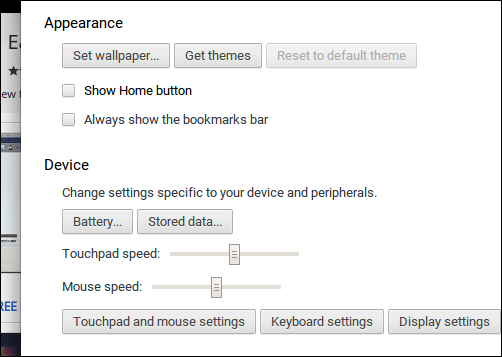 To customize your wallpaper, you can find the option in the same Appearance window as the themes toggle is located in. 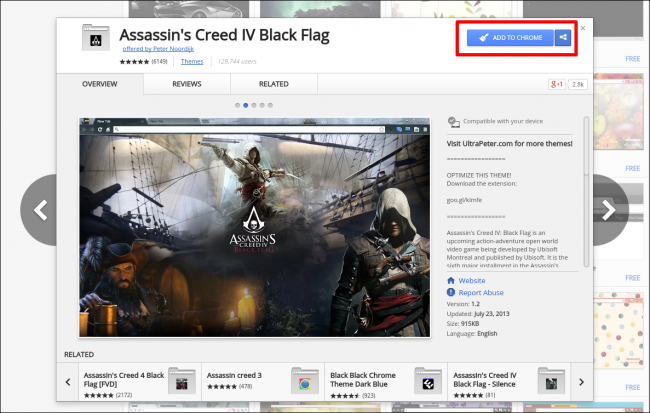 After choosing “Set Wallpaper”, Chrome will automatically minimize all open windows and bring up the desktop background, along with a box filled with pre-installed wallpapers. 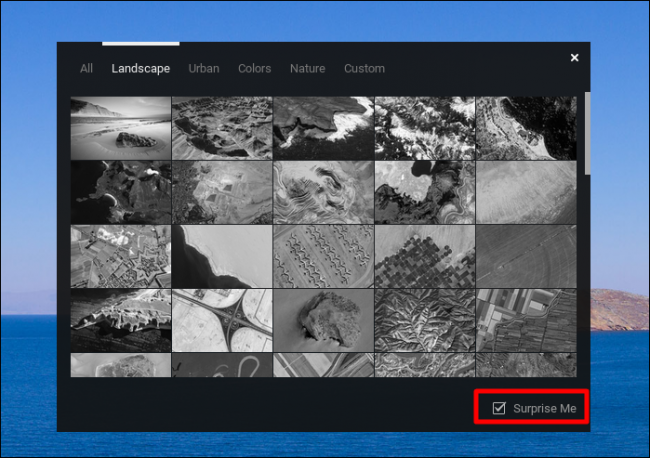 You can either select from these by category (such as “Landscape” “Matte Colors”, “Urban”, etc), or upload your own image by navigating to the “Custom” tab. 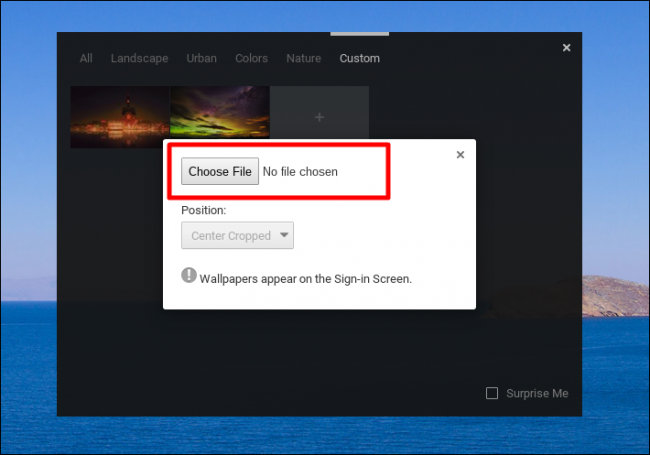 Once inside the custom tab, you’ll be asked to choose a file that will act as the new desktop image. 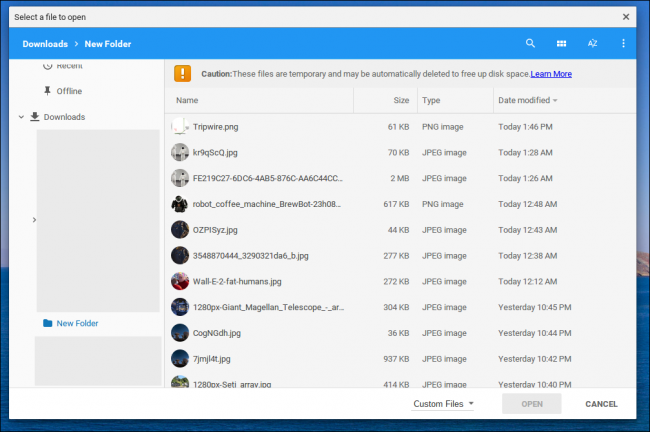 After you find the file you want, simply click “Open” in the bottom right corner, and the wallpaper will automatically be applied in centered format, though you can choose from “tiled” and “stretched” as well. If you want to keep thing a little bit more interesting, you choose the “Surprise Me” option, which will randomly sort through the bank of images available in Google Images, and select one to display each day until you turn the setting off. 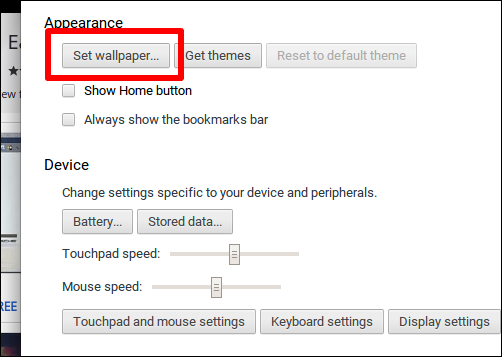 The toggle can be found in the bottom-right hand corner of the standard wallpaper prompt. As long as this is on, your wallpaper will change once every 24-hours from the time you first turned it on. This means if you want it to change first thing in the morning, select the option at 8am the day before. Both the visibility of the home button and the bookmarks bar can be controlled from directly underneath the buttons responsible for setting your wallpaper and finding new themes. Sometimes, according to the version of Chrome OS you’re running, certain themes may not be compatible and will present the following error message when you attempt to install them. If this occurs, you can either try updating your version through the online update tool, and if that doesn’t work, the theme will have been designed for an outdated build. 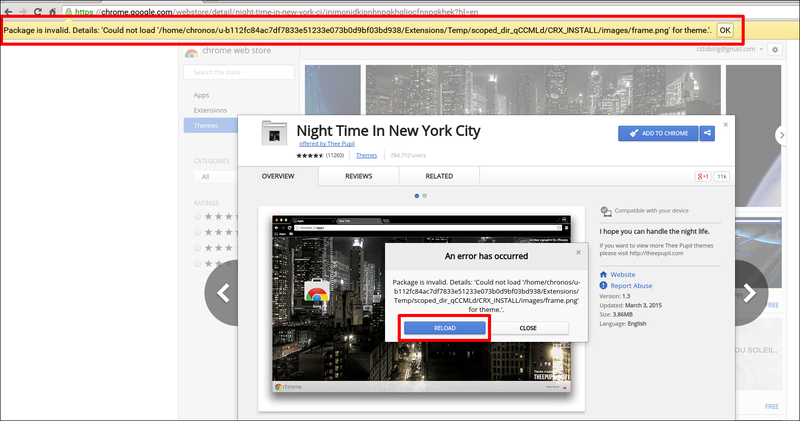 In this case, there is no way to get it uploaded unless the designer of that specific theme updates it and sends it out to Google’s servers. 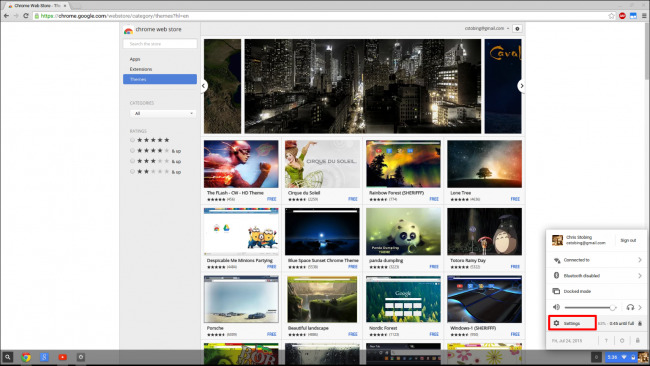 Chrome OS continues to pride itself on being an easy to use, easy to customize operating system, and with the thousands of different layout choices and wallpapers you can find in the Chromebook Theme Store, that dedication to standing out continues to stand proud.